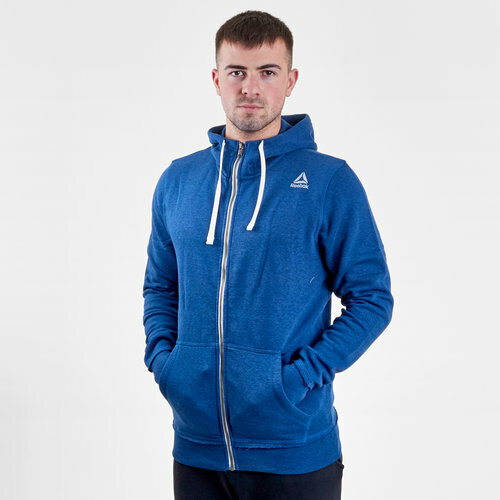 Look and mean business in this Reebok Marble Full Zip Training Hooded Sweat in Bunker Blue. When you wear this hoodie it will look as if you're dressing up even when you're dressing down. This full zip hoodie from Reebok has a soft French terry build and the striking look of textured marble melange. It has been crafted with ribbed inserts at the hem to create a modern look.